We're very please to help promote this important new work, which not only highlights the diversity of people dementia affects but also considers their rights and equality in the context of disability and the role carers play in supporting them. Jon Rouse lends his support in his latest blog: Dementia - tending the roots of identity. 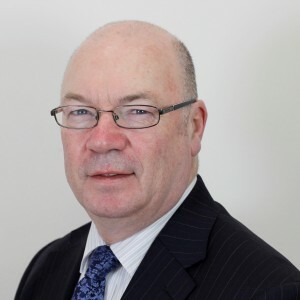 Alistair Burt, Minister for Community and Social Care has launched a call for evidence seeking a better understanding of the needs of unpaid carers. How can they be better supported? What services, resources and opportunities do they need to enjoy a happy and healthy life alongside caring? This engagement exercise will seek views from carers, families, employers, clinicians, social care professionals, educators and many others about what more the government can do to provide support and help carers lead a full life without compromising their caring responsibilities. The call for evidence is open until 30 June 2016 - please get involved and help shape a strategy which could benefit us all. So nothing has changed in the last twenty years..... Sigh. Government and Media have constantly made disabled people and there carers as though we are benefit cheats and scroungers. Disabled Hate crime as gone up because of this Government. Our Human Rights have been ignored and we like millions of others are blamed for what the bankers did and the cuts to incomes and benefits. Disabled people have died under this Government with there constant attack on getting people who are seriously ill off benefit and into jobs that don't exsist. Tory Government will not help carers like myself or disabled people and its just talk to think you actually care for carers and the disabled. I am so ashamed of my Government for what they have done and are only there for the rich. I wish an actual real life carer like myself, could be one of the decision makers- as I would put things right so that carers do not keep needlessly suffering with the exhausting mental burdens that never go away. I would aim to lift the enormous stressful burden that all carers carry, and in turn giving the disabled persons better care! This is the best and only way to give the best care we can, which is always our aim. What about inclusion and equality for the carers who care too much and those whose minds never switch off from their caring roles! I attend constant training at work to improve my caring skills- please extend these to unpaid carers also. I wish I had the time to come along with you to change laws for the better, as I know exactly what is needed for carers paid and unpaid, and this would magnify hope for a mountainously better quality of life for those we care for who do not have a voice! How would any of us want our carers that we may depend fully on one day; to be stressed beyond recognition, upset beyond words, tired beyond belief, alone in fear, stuck in a vicious circle of being behind on vital paperwork, having no fun or social life ,without any hobbies nor relaxation nor identity. This would not be who we want caring for us, yet this is the reality. Until things change, we cannot care for our loved ones ,nor clients to the best of our ability and this is unjust and unfair on all. We have all these acts for human rights, equality, and our 9 protected characteristics within the equality act 2010. Lets please start honouring our laws and acts that were made because so many of us gave a damn! There are over 200 types of dementia that you or myself may be affected by at any time-the youngest affected being just five years old! Anyone may need care at anytime- please start caring about the quality of that care, and lets make that high quality care happen in our lifetime while we still can! Small and simple steps-in turn equal big things to those who would really appreciate better care and a better quality of life. They need us and are counting on us! Lets do the right thing for those not able to speak or care for themselves. Lets stand together for those that need care and those that give it! I completely agree with Vivien's comments and Kellie's comments (well said ladies). I would also like to add that as a carer for 3 autistic adults and having M.S. myself, I went from a very well paid senior management position to the pitiful pittance of Carer's Allowance (what a complete insult and an absolute joke that is!) and Income Support (see previous brackets!) Because my son's all needed very specific and knowledgeable care to help them grow and develop as children and now as adults. They have all been through university and I have been supporting their educators, as well as training people in school to help them understand how a person diagnosed with a condition and given a prognosis of 'no useful language, low cognitive function and likely to need full-time care for life' at age 5; how applying limitations to someone's developmental achievements can be discriminatory and self fulfilling. My own training and experience as a professionally qualified behavioural counsellor and trainer as well as having professional qualifications as a clinical hypnotherapist, cognitive behavioural therapist, reflexologist, neuro linguistic practioner (NLP) management trainer, Reiki master, thought field therapist (TFT), aromatherapist and more, my hourly rate for my tailored therapeutic consultation is from £80 per hour to reflect my skills and extensive training and experience. I have helped many families and many individuals people (2yrs old to 82yrs old) to achieve better emotional wellbeing and living their lives free of limiting expectations and because I am on benefits myself, because I care for 2 adults at home and one who lives one mile away and my time is split between them (as said, 24/7) I cannot commit to work and so cannot earn a living wage. I get nothing for caring for the other two, and guess what...... Autistic Children grow up into...... Yep! Autistic Adults! ! They may have mastered fitting in at school but now their needs are much more involved and the consequences of their actions and decisions are much more far reaching. But as they turned 18yrs I no longer had any say or control over their lives per se and consequently one of them is now a father! He is a wonderful loving, brilliant dad and we fought for and won overnight access every weekend for his child (the mother has diagnosed depression and anxiety and little family support, they broke up before she discovered she was pregnant and he did not want to resume their relationship, preferring to try and remain friends - she has been very hostile and stopped him seeing the baby for a couple of months) he wanted to fight to be a dad to his baby whom he adores and I am coaching him to parent his child with great success. He has made me very proud of his attitude to step up and take responsibility for his child, but his own needs have changed consequently and he needs much more of my physical presence, the other two are going through university and need my support as does the university in giving the right support for the individual's needs. They live with me at home. I do not have a life of my own, I choose to support my own children, (one of whom is a foster son who was not ready to leave home, so will stay until he is able to make the transition) and others because I have the knowledge and want to pass on as much as I can to empower other parents, carers and people with 'mental health' conditions; but I will die poor and with no recognition from the Government for the massive financial savings I have given to the State purse and as previously said, vilified by society as a scrounger and drain on taxes paid into the system by those lucky people who can choose to be in full-time paid employment. Even a newbie working in McDonald's gets better pay than we do! I salute all of us who have given up our own lives to care for young /elderly relatives and wish you all well. Remember to care for yourself too! The government and the authorities forget parent carers. The needs of autistic children under 18yo are way more significant than those of typical children, but we are treated as if it's the same and we should have that caring role anyway as they are children. Autistic children are just as if not a lot more reliant on their parental support than adult autistics are. Yet most of the rights apply to carers of adults. It's so sad, what Rhya Homewood said above "I have been supporting their educators, as well as training people in school to help them understand" because we are not only pretty much unpaid carers (in my case I am unable to get carers allowance because despite our family being low income on paper, our earnings put me just outside the allowable income to receive it) but we are unpaid trainers too. We are having to tell the professionals what they should be doing so that our children achieve best outcomes. Largely however they aren't interested and see such parents as a fly to be swatted away. I totally agree with the comments by vivien carter-bonsteel above, regarding the government's targeting of the disabled and vulnerable. It's appalling. When you consider the tax evasion by corporations and the banking fiasco, how can those with so little be targeted to take away what little they had? This government is cruel and doesn't care. I am a variously-disabled parent carer to two disabled children and all we have suffered in dealings with the authorities is trauma in every way imaginable. We shouldn't have to go through this. And it's so short-sighted because if you neglect and harm carers, the full cost may eventually fall to the state when those carers have failing health or drop dead from exhaustion.